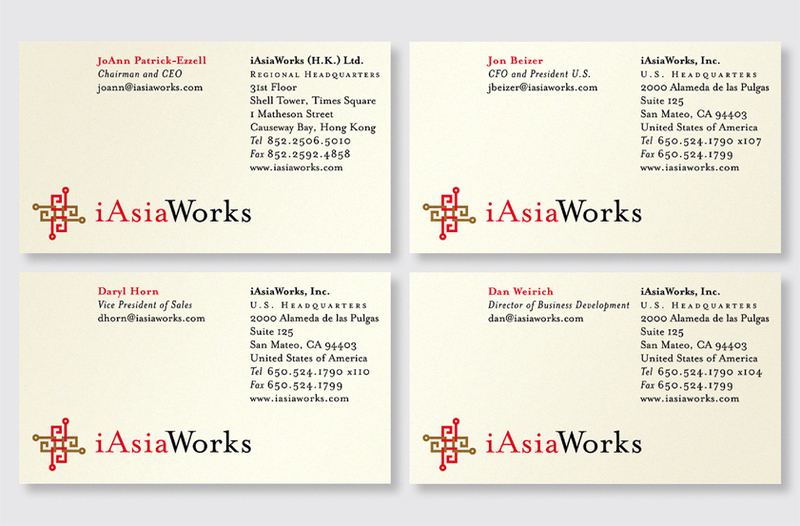 iAsiaWorks a leading Internet data center company and hosting services provider for the Asia-Pacific region. Our solution for their presentation folder uses the logo as an Asian string-tie clasp to provide prospective clients in Asia with the experience of unwrapping a gift. 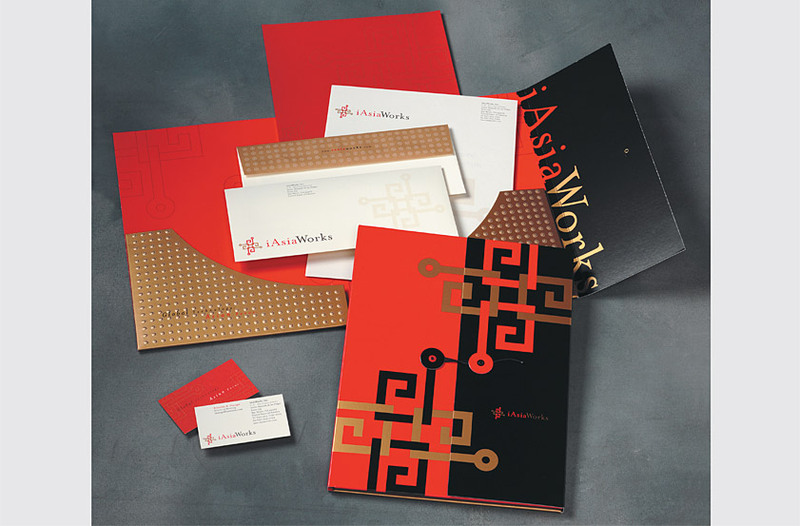 The folder pockets use embossed circles to simulate the rivets of an Asian door and create the shape of a Chinese moon gate, symbolic of iAsiaWorks’ role in providing its customers with a gateway into Asia. The letterhead front features a large watermark of the logo. The back uses an outline version of the logo to suggest gold embroidery on red silk. 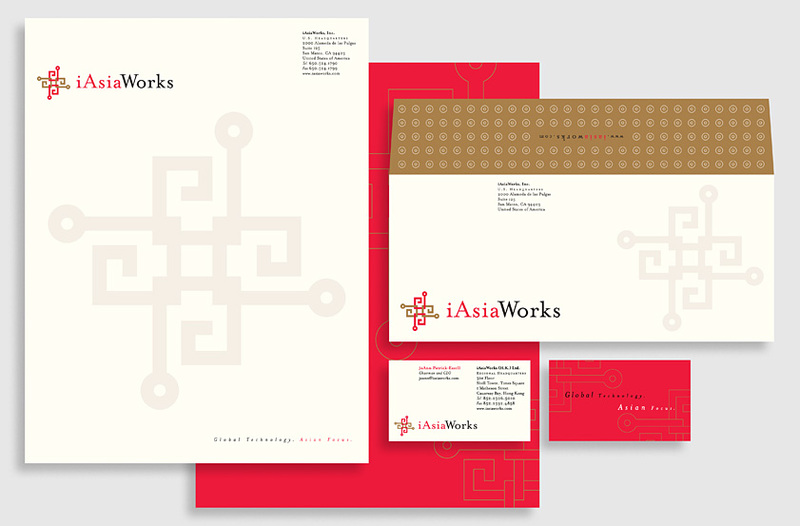 The envelope flap uses a pattern of circles derived from the logo. 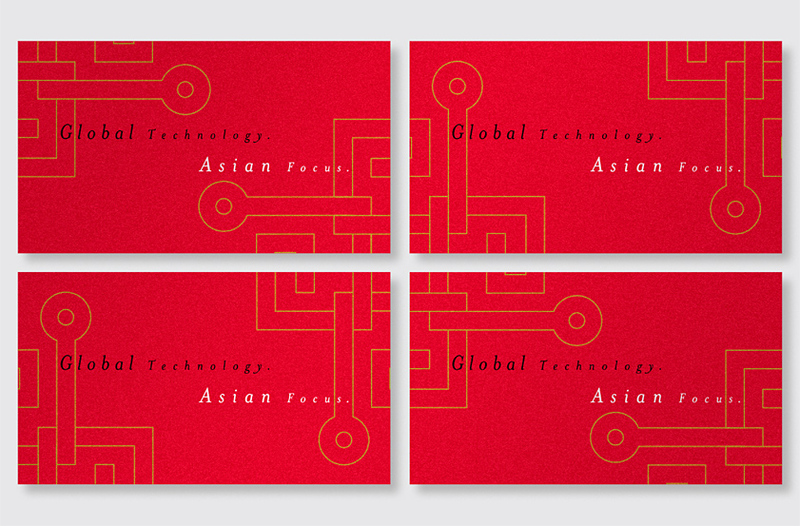 The back of each business card combines to form a complete logo to symbolize the firm’s team approach to client service.